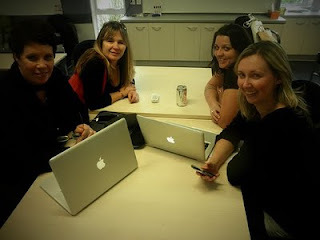 Back in July 2010, I traveled to Auckland with two teacher friends to attend Educamp at Summerland Primary in Auckland. An incredibly inspiring "unconference" day networking with Educators across the sectors. We drove home buzzing with ideas, conversation flowing and a seed was planted.... why not organise our own Educamp in Whangarei - an opportunity to encourage more Northland educators to collaborate and a vision of building our local networks. Like any good seed, with sun and water, it grows! 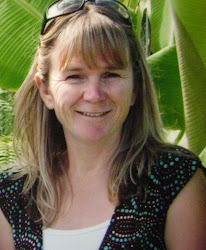 Thanks to the support of Fiona Grant - Educamp Tai Tokerau (or in the twitter world #EducampTT) not only grew, but flourished! Around 45 teachers throughout the day gathered to learn and share together at our incredible venue, St Francis Xavier Catholic Primary School. The knowledge within the room was astounding! Not to mention 4 Google Certified Teachers (all wearing their google socks!) - Tara Taylor-Jorgenson, Helen King, Fiona Grant and myself:-) AWESOME to welcome a team of teachers from Pt England Primary School, Tara from Bairds Mainfreight in Auckland and Anne all the way from Mosgiel - now that's Educamp commitment! The ideas flowed with the initial smackdown before we broke off into various groups to continue our learning. 3 x 1 hour breakouts throughout the day. Google Apps for Education is beginning to trickle in, with a few schools in Whangarei taking this on. With this comes the opportunity to delve deeper into utilising google docs, google sites, picassa web albums and google blogger - a few of my favourite google tools:-) I enjoyed the unhurried casual atmosphere of sharing my google knowledge with two groups of teachers in an "unconference" situation. A great practice run for ULearn11 when the four of us present Google Masterchef. So, if your looking for a FREE professional development opportunity to INSPIRE your love of teaching and learning in the 21st century - I would definately recommend looking out for EducampNZ. Check out the wikispace for up and coming dates in Auckland, Tauranga and Dunedin. The best professional development of all - networking with like minded people! Awesome reflection Tarnz. I had a great time up in Whangarei learning from everyone. Tania, what an amazing experience it was. Thanks for the wonderful welcome to the far north! I loved the conversations, the company, the caring and the sharing. I loved that the conversations were able to keep flowing, new connection were made, new tweets were born, and I love that face-to-face is still invaluable in making a real connection. I can't wait til educampdunners! It would be magic if grabaseat came to the party for that weekend.